Frederic: Evil Strikes Back is a rhythm game that is the sequel to Frederic: Resurrection of Music which was released on Steam on the 16th May 2014 (so only a few days before Frederic: Evil Strikes Back). While I actually played (and just about) finished this game quite some time ago, only now have I got a chance to go through that backlog of reviews and finally give you all my opinion on this game. Keep in mind that a lot of the text you'll read is going to be similar to my previous review, since it's essentially the same game to a degree, save for the plot and music. Once again the world of music is under threat from those that would "enslave" the musical world and mass produce soulless artists with repetitive trash. Once again you play the role of a resurrected Frederic Chopin who is here to set things right and make sure music is creative and free! The only way to do so is to fight these minions (and eventually the boss) through musical duels! Again, like the first game, I wasn't expecting a great plot from a game where Chopin fights the minions of evil record studios in their attempt to ruin music, but even with my low expectations I was cringing at some of the cutscenes. The scriptwriting isn't a strong point although I did chuckle at a few of the pop culture references. 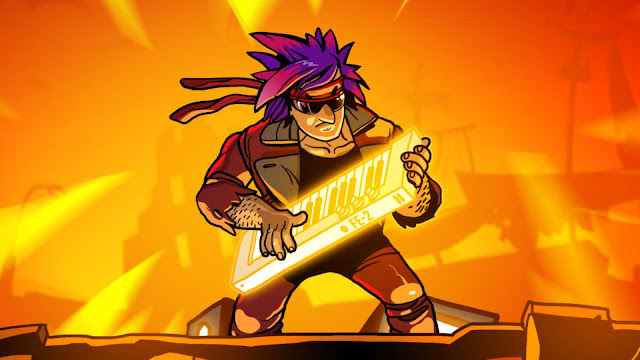 Gameplay is the same as what was experienced in Frederic: Resurrection of Music and just like other rhythm games, the goal is to hit the right notes at the right time in order to successfully complete a level. With a touchscreen device, it's a matter of hitting a piano key on the screen at the right time; if you don't have a touchscreen, you'll need to resort to the keyboard and mouse. If you're using a keyboard and/or mouse, the game is actually quite challenging, especially on harder difficulty levels or levels towards the end of the game. While there is the ability to reconfigure the keyboard, it still doesn't really help because the computer keyboard just doesn't have the right feel as an actual keyboard. Consequently, I end up using the mouse most of the time to hit the keys along with the keyboard to press the correct letters when I generate "golden notes" and to hit the spacebar when I charge up an "attack". Using the mouse works for the easy parts of the tracks but become nigh on impossible when there are a quick sequence of notes. ...instead of reinterpretations of Chopin's famous pieces, you have tracks that imitate the sound of pop music artists such as Freddie Mercury/Queen, Michael Jackson, K.I.S.S. and Lady Gaga. Just as it was with Frederic: Resurrection of Music, the music is pretty good in this game and quite catchy. Unlike the first game though, instead of reinterpretations of Chopin's famous pieces, you have tracks that imitate the sound of pop music artists such as Freddie Mercury/Queen, Michael Jackson, K.I.S.S. and Lady Gaga. Particular favourites are "Life is a Harmony" which sounds like it's been inspired by Queen's "Radio Gaga" and "Who's That Stranger" which sounds like it's been inspired by Michael Jackson's "Smooth Criminal". Like the previous game, you get the MP3s for the soundtrack for free when you purchase the game. Just like the previous Frederic game, Frederic: Evil Strikes Back is very short and will only take you two to three hours to complete. However, to prolong your experience with the game, you could always play on higher difficulty levels, and there are also Steam achievmenets and Steam Trading cards to collect. There are even leaderboards so you can compete against friends or other players for high scores. Seems like you can take screenshots during cutscenes now (so that's one complaint I had about the original fixed). Also, song titles are now in English which is great for us English speakers (readers?) out there. No complaints in terms of anything else. Frederic: Evil Strikes Back doesn't tread any new ground but if you enjoyed Forever Entertainment's previous offering, Frederic: Resurrection of Music you'll be sure to enjoy this sequel. The only real difference to the game is the plot which, like the first game, isn't anything truly spectacular (but I must admit, flying around in a Delorean is pretty choice) and the music which this time consists of some lovingly crafted tunes which imitate the work of famous pop artists. Is the game worth $7.99 USD? : A bit on the pricey side considering the game's length and the fact it's basically a mobile port, but it's probably a fair price.